A number of years ago, the lighting designer Francis Reid took over as the administrator of the Theatre Royal in Bury St Edmunds, and had to teach himself how to run a theatre. Many have followed a similar path since by becoming producers: with a good idea, a good company of performers and crew and a string of bookings all over the UK. This includes me, but recently I’ve been noticing some unwelcome changes. For a popular show with a built-in audience, it’s usual to work on a split of the box office. Typically, that works out as 70% going to the production company, and 30% to the venue. The alternative is to simply agree a charge to use the venue – hiring it, in effect – or the venue agreeing to pay the show a fixed fee. While these can often be negotiated up or down, venues are increasingly trying to recover money on the quiet. They are doing this by adding extra ‘re-charges’, or a contra account, upping the sums it charges back for added costs. It’s always been common to charge for the use of washing machines, say, or the telephone and photocopier in the company office and perhaps also a contribution to advertising. But the range of potential charges is on the increase. Last week, I received a rider, outlining the production company’s requests, and clearly written by someone who had been caught out by crew costs. It specified: “No house crew are needed for the get-in or the get-out.” The venue in question provides a number of crew free of charge but the tour manager was convinced a hefty fee was going to be levied, and the reassurance didn’t convince him. There are venues around the country that work hard to keep the recharge costs down. 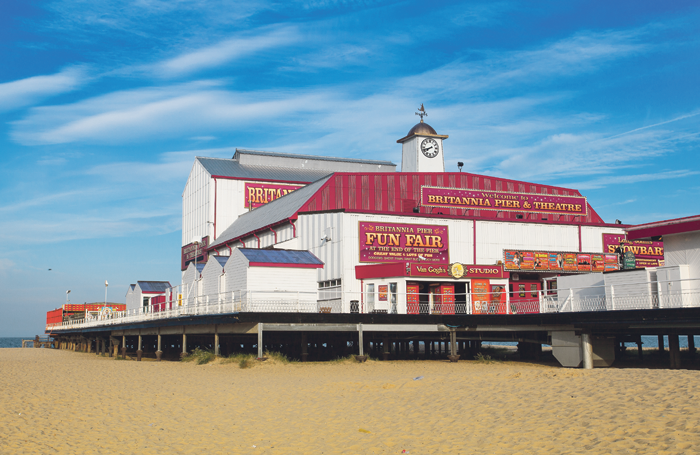 I work at the Britannia Pier Theatre in Great Yarmouth, predominantly a seasonal summer theatre where shows are usually one or two-nighters. It is not a typical theatre venue – it’s privately owned by a family firm – but the owner takes a common-sense approach to recharging, based on the position of the theatre and its layout as well as exceptional items that need bringing in for a show. But others employ so-called ‘ker-ching’ policies that can trap the unwary. “Would you like followspots?”, “Would you like to use the lift?”, “Would you like to use the moving lights?”, “Would you like water?” or “Do you want to use the haze machine?” – all these services have a price tag. Some venues are now charging for electricity, and I heard one instance of a company bringing its own generator. Did it escape a charge? No chance: it was hit with a generator parking fee. Venues have always had a nominal charge for gel, but very often they come up with ingenious ways of generating extra income, over what was agreed in the contract. Sometimes, they pile it on too thick. Being charged for the two people needed for a health and safety process is fine, but to discover you are charged for the same two people operating followspots is pushing it. Clearly some venues are pushing their extras – and rejecting them often removes cooperation. 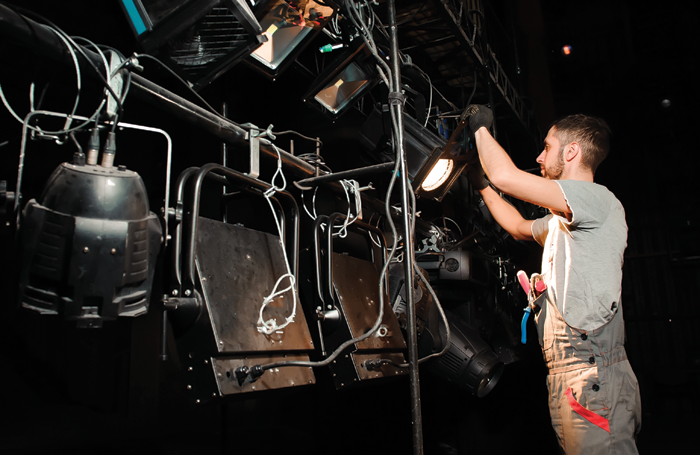 Refusing the offer of moving lights at one venue meant that was the last we saw of the technicians for the entire show – nobody at all on stage from start to finish and no assistance whatsoever from the venue. Worse still are those venues that require payment for four people to carry out a particular request, only to see them preparing for the next show with just two people doing the same task – you feel cheated. With the splits on a less-than-full capacity house being smaller, I do understand modest and moral charges, but the incidence of strange and unfair fees is growing. Venues might charge 25% commission for selling production merchandise – which is fair for CDs, T-shirts, programmes and other popular items – but some include staff to sell it, while others provide just a trestle table and the space to sell it yourself. I’ve also heard about something called ‘heritage re-charges’ and have no idea what they are. Gaffer and electrical tape are other items often re-charged, but if somebody uses a short bit of tape to fix a prop, is it really okay to charge for a whole roll, often at far above what you can buy it for? Late calls can be tricky too. If a show overruns, overtime can be crippling to the production company. It is fair for the staff’s extra pay to be recouped – however, often the overrun will be at the union-agreed rate (fine) but for the entire crew, when only a few actually stay. If you agreed to a certain crew complement, some will charge for the lot. My pet hate is premium charges for Wi-Fi backstage. Most theatres I visit have free Wi-Fi for the cast and crew, but not all by a long way. Another area for under-the-counter re-charging is advertising. A one-night show agreed to a charge for radio advertising, and discovered that the advert they paid for was actually a combined advert for a number of different shows, and all the productions featured paid the full price for the advert. The big billboards some venues use can be another money-spinner. A 4ft-by-8ft space on the front of the venue has a set cost. We thought the sum was a bit excessive in one case, and had our own produced at about 25% of the price. For new producers, who need to be hot on the maths to make their productions pay, these things are rarely detailed in advance, so almost impossible to budget for. The result is the increase in production companies not wanting the venue’s help with anything, just in case they get stung – when ironically, in some venues, there would be no charge-backs at all. One venue I know puts soft drinks in the fridge and fills the fruit bowl just as a welcome to every company coming in. I do sympathise with the average venue that needs to claw back some of the box office given away in the split. When reasonable, these charges can be justified, but there is a growing trend to artificially inflate them, with the staff all on the lookout for chargeable additions. And once the show is down, it’s too late to object. If you want to produce shows, and think the signed contract shows the real figure, beware: it doesn’t. As well as being a producer and company manager, I am in a band. We got bitten a few years back when the friendly bar manager told us not to go in the public bar, but to use the private bar and help ourselves. He didn’t actually say “help yourselves to a free bar”. A lesson learned: the settlement, with the extra crew and facilities, plus the drinks, wiped out our fee, bar just a few pounds. If anything, the situation has become far worse in the past year or two. Nobody seems to be keeping any collated details of which venues are expensive – I’ve not yet found anyone actually promoting how they manage charge-back items. They should. It would stop new producers quickly getting into deep water.